The contest will be a centered around putting a funny,witty or otherwise entertaining caption on one or both of the pictures below. Each contestant can caption both pictures once. The contest will start on the stated date for the first prize and will run for one week. The Wolves of War will then judge all entries for the funniest captions. The top 2 winners can be from the same picture or different picture. The first place winner will get his choice of a Dune Buggy or the Sector 1 Omnibus. The runner up gets the remaining prize. Wolves of War will submit the contest winners on the GlobalTech Atlas forums. Rules: No rules really. One entry per picture per person. Be creative. Captions can be as bland or as funny and provocative as possible. I know rules and guildlines were very weak in setup... it's an issue i recognize and will be addressed for next year. Spanning 7 days and not awarding the prize on the contest date seems out of the realm of possibility to me... early entry yes, though I'd prefer avoiding that too. The idea eventually morphed to a 2 days per group and it seems a bit unfair to extend it.. expanding into other groups 'times'. It also become a logistical nightmare. It also doesn't let the prize be awarded at the date the contest is scheduled. I'm finding that it's confusing people very much having more than one contest for entry and some for early entry and i'm learning quickly it doesn't work even after the launch of the first contest. I'd prefer to focus on a 2 day contest for both contests.. (well the initial contest still being only one day as it's 'easy' entry with something like a /enter contest or question and a longer 2 day for any screenshot contest). Those are easy to run and run smoothly... having 4-7 contests running concurrently will make me commit harikari. Both launch on the first day but the 'screenie contest' extends over both days. Please, please, please, please, reconsider. I seriously don't know if i can accomodate so many contests running at the same time and maintaining any semblance of order or sanity, both for your group and others. I love the contest idea, but would strongly request we confine it to those two days. For the love of shiva, please agree to make it two days total. We can have your team judge entries still absolutely... that would typically be 11pm to midnight at the close of the contest with winner announced at midnight and the next contest immediately posted for the next group. Long contest times work for a small contest... this is meant to be pretty quick and bang bang bang. guy, i really need feeback.. i can't extend it a week past the contest end date. There may be an option to rotate out for another slot if you require an long entry time... but all contests were intended to be run at a max of 3 days originally. I need to keep it simple and easy to admin. I want to keep focus on those specific days of the contest. On the admin side, one learns quickly what doesn't work and what does... I can't accomodate this unless we switch you with another group. I am going to proceed with your idea as you indicate even though it doesn't provide ' a prize every day', but host them on your designated days unless we can switch them. Early entry is an option but one that i can see is becoming far too tasking to monitor daily for almost 26 days.. nearly a month of constant attentiveness. I need to hear soon please. I know it's not your fault that this wasn't very clear but this is where the contest needs to go. Hello everyone! Im hoping this way of entering the contest is fine to, couldnt link my remastered screenshots in the normal reply section of the contest! I dont see how it can become too much of a nightmare. How about 2 days extension and at the end of the last day I just copy and paste the comments of the contest and all WoW members will judge the winners. We will contact the winners. Only thing that needs to be done on GTA's part is just shipping out the dune buggy. 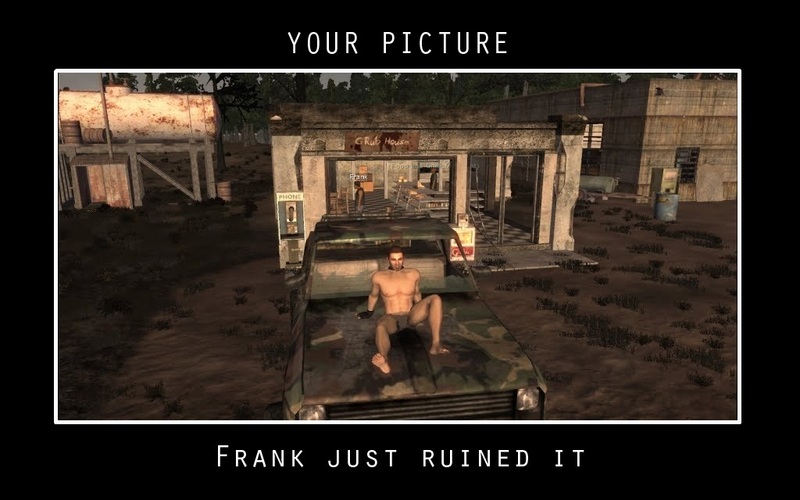 I can then put the captions with the pictues and post them here and GTA can post em. Also i could announce the winners on the main forum. done... closes on nov 11 at 11pm. i need your winners like an hour ago. was in the general forum Today at 2:07 am, moved it here. 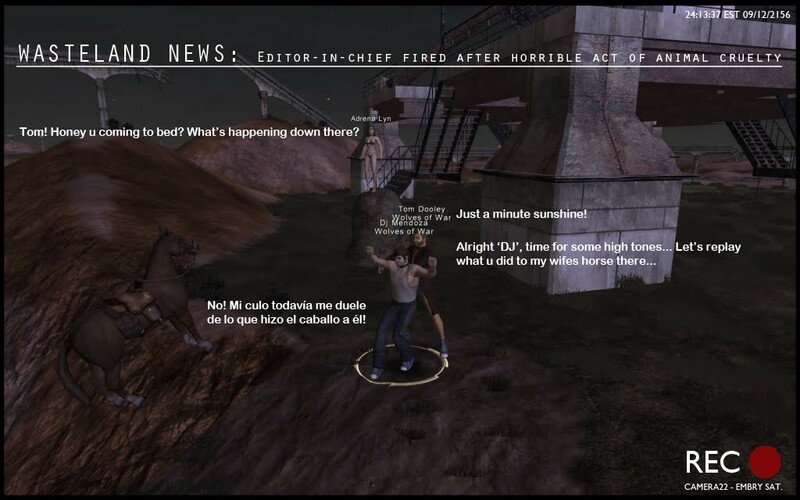 Screenshot 1 Caption: "I hope Frank appreciates the amount of detail I put into this buff job..."
Pic 2: "Hey baby don't look so worried the horse just likes to watch." We like Deaths the best. Deaths Severus can Pm Redcow on wolvesofwarfe or Rufio Mendoza ingame with his choice of a S1 Omni or a Dunebuggy. Sent mail to winner asking what prize he wants. Was not online at the time. Will check after work/class. i have the dune buggy for the runner up choice. Let me know who to send it to.